Bella Lime : Do you know how to take a compliment? How was everyone's weekend? Anyone go camping? Take part in an event? Or maybe you were able to just kick back and relax at home! The photos would be of couples, Families, friends and oneself. Every photo shared a different story and every story made you want to be of part of this "Big Love Ball" movement! 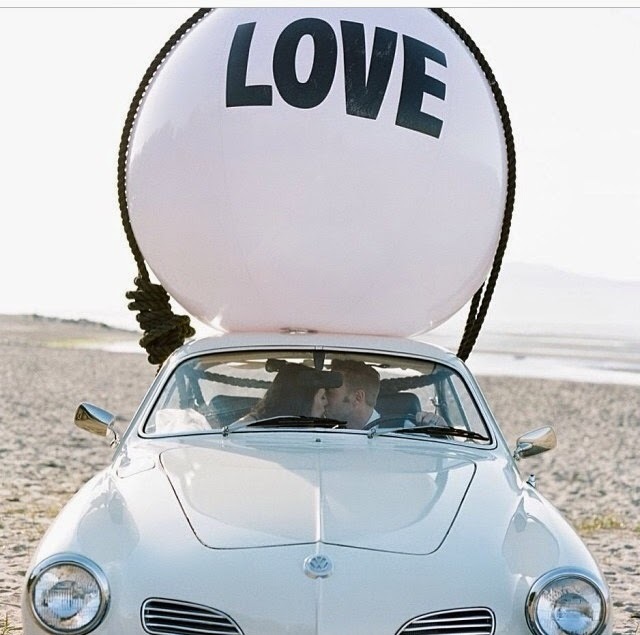 Big Love Ball is the creation of Canadian designer, Wendy Williams Watt. 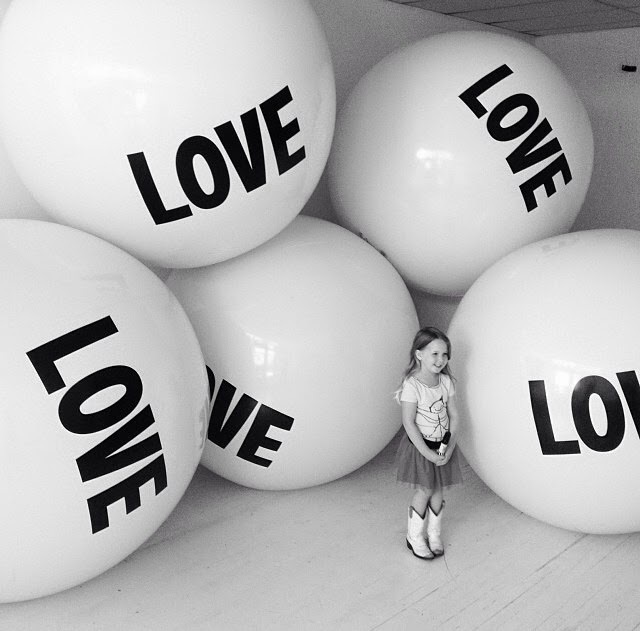 An inflatable sculpture with the bold word LOVE across its breadth, Big Love Ball is an invitation to make a moment. 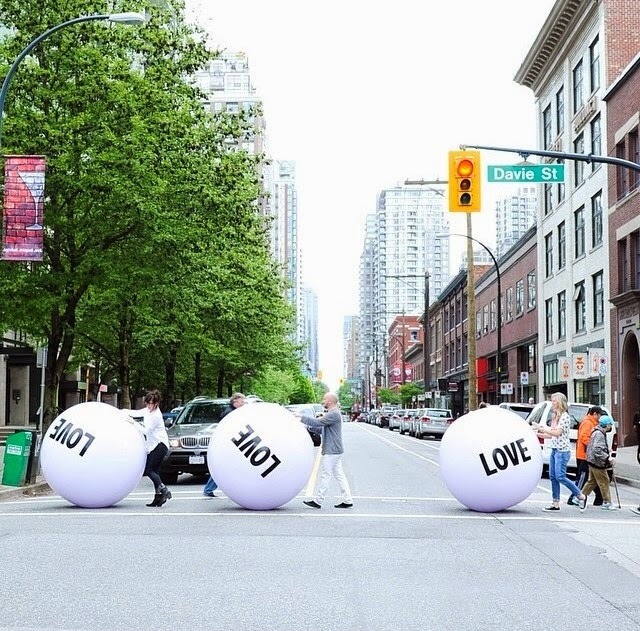 Originally displayed in the window of Vancouver’s iconic Grace Studio, the ball was meant to spark dialogue with the community. In a culture ready for lightness and love, Big Love Ball was overwhelmingly embraced. Our intention is to send Big Love Balls to places we’ve never been, events we cannot attend and to friends we’ve never met. We want to charm, disarm, honor and i n c l u d e the many people in the world who celebrate LOVE. Pretty spectacular right? Not only is it a moment in Love, it is one about giving. You see you can purchase your very own LOVE ball and 5% of the sale will go to a charity. It seems every piece of clothing is tailored to perfection to fit every form of the female frame. Walking into Loft made me want to become the next Suburban fashionista. 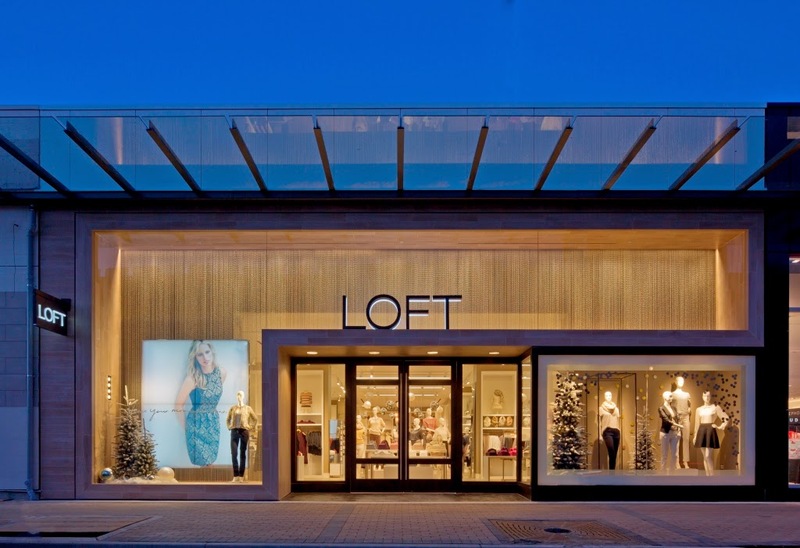 Make sure to check out Loft.com, This very minute, like right now! 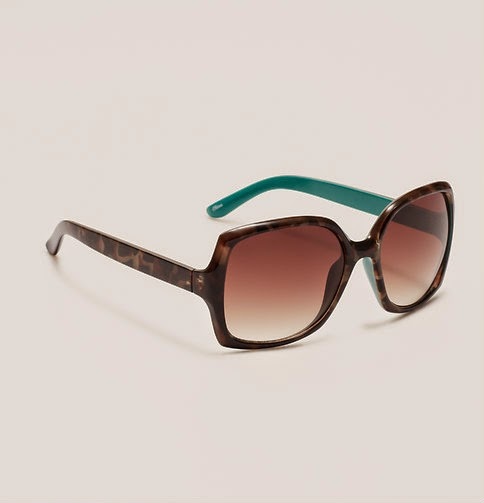 I was on their site and they are having an additional 60% off sale on selected items. 3) Do you know how to take a compliment? and that is usually how I answer every compliment. Do you subscribe to Soul Pancake? You should!! It makes you feel all warm and fuzzy inside. Soul Pancake is designed to open your mind, challenge your friends and feel damn good!! And there you have it Loves The Monday Merriment List ..on a Tuesday!! Classic Literature for babies..Say what?